Artefact Description Willow sticks and wooden handle. It could be Hazel. The brush is 60cm, the handle is 70cm and the diameter is 9cm. History of Artefact This is the original Breaning Besom recovered from the wreck-site (in the 1980’s) of HMS Invincible which sank off Portsmouth in 1758. 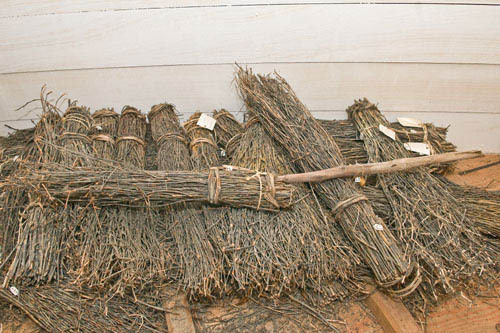 HMS Victory had the same kind of Besom brushes – approximately two hundred. They were used to burn off barnacles from the bottom of the ship – this process would be repeated every six months. 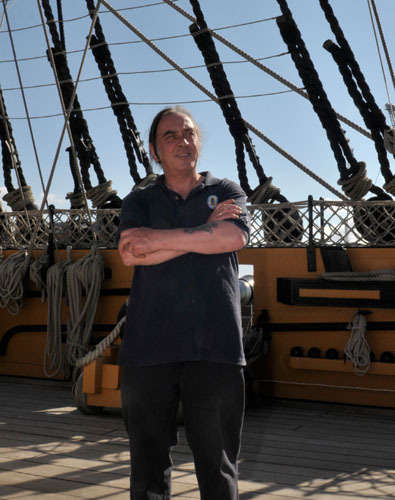 The Besom would be dipped in tar, set alight and then used to burn the bottom of the ship. They were also used to clean the ship. Special Memories They were brought to the ship in the 1990’s to enhance interpretation.